If you’ve been to an Ivy League college or live near one, you’ll know what I mean. Walls covered with ivy, ivy growing all over library walls and down dean’s offices. Ivy really can be ubiquitous. The kind that climbs and creeps and is all through one of my front garden beds is Hedera helix aka English Ivy. That stuff eels in everywhere, currently it has one pieris and two rhododendrons by the throat and is threatening to throttle both of them. I had to take the loppers to it, and then there was a fearsome battle with the ivy that had crept underneath the siding of the house and along the main electrical connection as well. That involved careful use of the secateurs and a good deal of undignified tugging during which yours truly landed unceremoniously on her backside in the undergrowth not a few times. When Ivy sets out to claim territory it does so for keeps.What surprises me is that ivy snakes its way into the perfume world at all. The scent of ivy is green and strident, with a frankly musty undertone like un-aired closets. This does not seem to put off perfumers. DS & Durga have a perfume called Boston Ivy which I have not smelled but which is reputed to be largely a clean aquatic scent. If it is, then it smells nothing like ivy. I suppose I could learn to live with mine. The trouble is that I don’t want to. Scent or no, I far prefer white periwinkle as a ground cover and like to tuck bulbs in underneath that so they come up in spring through a lovely covering of white flowers. Poet’s Narcissus looks wonderful through periwinkle, and so do white hyacinths, like L’Innocence. What am I stuck with still? Old English Ivy clinging on for dear life while I hack away at her roots and runners, usually a good five to eight feet long. Ooh, English ivy is the Dickens, grabby as a shoe sale at Bloomingdales’. In its right place though, ivy can be lovely. I think that its right place is usually on the walls of universities. When you encounter ivy in perfume the effect can be a little unsettling. Ivy appeared in all of the Ti Amo series done by Hilde Soliani when she released her first perfumes. The green note of ivy was very successful in Il Tuo Tulipano, and kept Il Vs Iris from wallowing in a mauve iris candy bath. I never did smell Ortensia or Anemone, but both probably have the same ivy component. Yes, the ivy does cut some of the sweetness of these fragrances and does give them a common accord. But can I like ivy in perfume any more than I like it in my garden bed? What the best of these perfumes (Il Tuo Tulipano) does is to pair the uncompromising green smell of ivy and with spring flowers. So perhaps the earthiness of ivy would go well with hyacinths, for instance, if someone wanted to continue the accord? The combination would certainly be green. Perhaps that would be the trouble these days though. It’s as hard for a perfume to be green right now, they just don’t sell. Even for ivy perfumes, it’s just not easy being green. I like perfumery ivy, in general, but then I have a Thing For Greens, and I suspect that an ivy-hyacinth scent would be right up my garden path – especially if it had galbanum too. What prompts my hand to often skim over my decant of Il Tuo Tulipano is its musky sweetness; it goes “flat” late in its development and just bores me to tears. Actually Yale is beautifully landscaped and like everyone else in my neck of the woods, seem to have the sort of rhododendrons that bloom in November which mine certainly don’t. The photo is one the hub took the other week at Yale (we go for Ingalls rink ) and often mosey about envying the college plantings and this wall at Beinecke had the most ivy of anyplace we saw on campus. My Dad grew up with brick and boxwood at Richmond and remembered the smell too. It’s a Virginia thing. At Yale I smell lots of things but so far no boxwood! 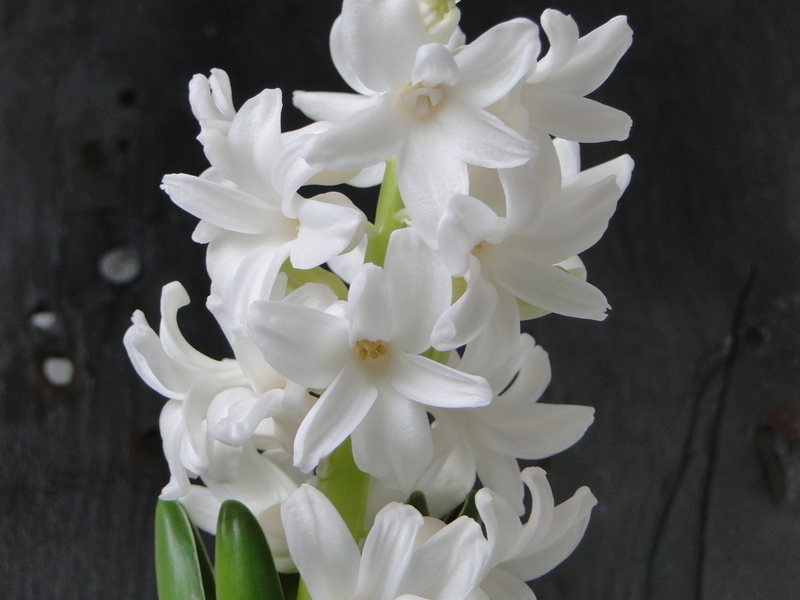 Couldn’t we interest one perfumer in a hyacinth, galbanum, and ivy scent? No musk though, know it’s cheap, know it’s an excellent fixative but it’s a cliche folks. A little treemoss might be good as a fixative for our greenery scent! Yale has such a pretty campus. Agreed a little treemoss unless of course we’re told we can’t have it! Then I vote some sandalwood. Ah the “privet collection” yup, I know which Goutal you mean. It takes a bold person to pull that one off without making everyone else think they’re spent the morning trimming the hedge!